Psyche Williams: Your author also quoted the intelligence ranking of a Rhodesian ridgeback at 54 (barely average) but neglected to mention there were only 3 dogs in the study originally done in 1994 unlike more common breeds such as the Rottweiler at 9 and German Shepherd at 3 (very bright) where there were more than 30. Allex Michael: Williams makes an important point that only 3 dogs is an unfair sampling. However, in Dr. Stanley Coren's book on dog intelligence this rating was about obedience aptitude and not intellectual ability. As Ebbey.com states, ridgebacks are very intelligent to the point of being cunning. Psyche Williams: The author did not do her homework. If she had she would have found that Rhodesian ridgebacks nearly always are at the top of any level obedience class, as well as passing therapy certification their first time around. A nine month old pup of mine out tracked the top tracking Belgian malinois in the world..I have others in training out in Arizona. Allex never contacted people in the know of this wonderful breed but more than likely breeders of the "confirmation" dogs and most of the show folks have little insight of the service/working RR's. Allex Michael: When I spoke with my first dog's obedience instructor and the local humane society's obedience instructor they both categorized ridgebacks as hounds and more difficult to train. 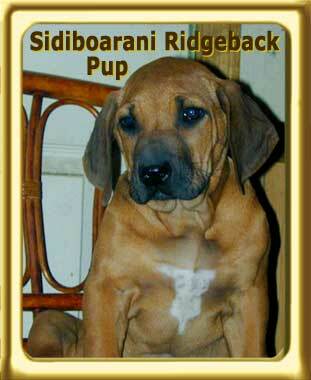 Both had experience with at least one ridgeback and none were at the top of their class. But, this is only a few individual ridgebacks and two instructors. It's also possible that the owners and breeder with whom I spoke are not 'in the know' as Williams states.